With the British government announcing their plan to ban all petrol (gasoline) and diesel cars by 2040 the unimaginative will of course assume that everyone will un-creatively have to buy electric cars or ride “environmentally friendly” bicycles. The imaginative however will try to think of what other fuels they might be able to shift to; how about Tequila? Has anyone ever successfully run an automobile on Tequila? Yes indeed, in the past the President of Mexico did exactly that not in a conventional car, but in a Chrysler gas turbine car. Gas turbines are not super fussy about the fuel they run on so an alcohol like Tequila actually works. But it wasn’t Chrysler who pioneered the creation of gas turbine cars. The pioneers of both gas turbines in cars and boats, and pioneers of the jet engine technology that led to the creation of the Rolls Royce Welland jet engine and the Gloster Meteor jet fighter were in fact British auto maker Rover, the people who make the Land Rover. Looks simple enough to drive: accelerator, brake, handbrake, steering wheel, and a dashboard like an old fashioned Boeing 707. (Picture courtesy autospeed.com). Rover became involved in jet engine and gas turbine development just as the “Phony War” began back in 1939. It was back before Hitler deceived British Prime Minister Neville Chamberlain, and went on to invade Poland and plunge the world into yet another World War, that a British gentleman named Frank Whittle invented the gas turbine, or jet engine as it would come to be called. This invention was kept very “hush hush” but Frank Whittle did not have the resources to develop his engine and the British government finished up knocking quietly on Rover’s door to see if they might just be able to help. Rover were able to help and so as Britain declared war on Hitler’s Germany work began on Frank Whittle’s design concept to try to build a practical gas turbine engine. 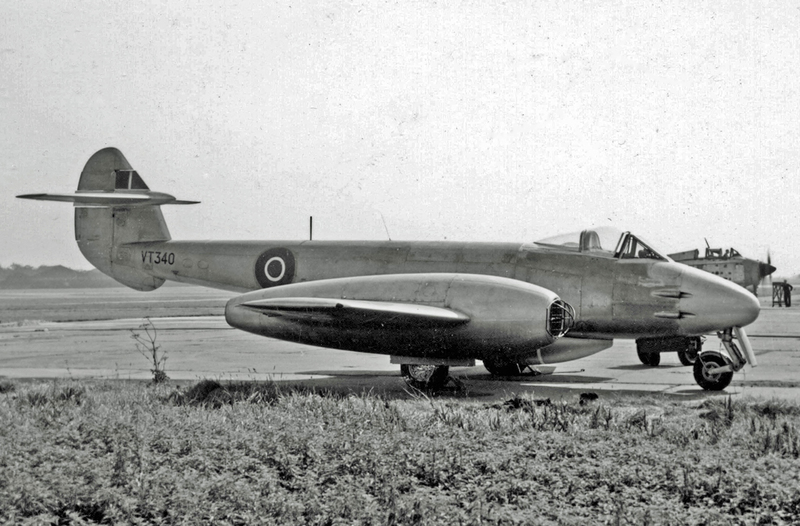 Gloster Meteor fighter. The main aim of the development of the gas turbine was to create a jet fighter to beat the Germans who were also working on the same idea. (Picture courtesy RuthAS, Wikipedia). The initial main aim of the development of Frank Whittle’s engine was to create a viable aircraft engine for a jet fighter before the Nazis did. Although the engineers at Rover were not aircraft engineers they worked on improving and re-engineering the jet engine in top secret, so secret in fact that even Frank Whittle did not know about their work, until Rolls Royce were willing to take over the project in 1942. Prior to that Rolls Royce had been fully occupied keeping up with making Merlin piston engines for Spitfires and Hawker Hurricanes to fight the Battle of Britain. 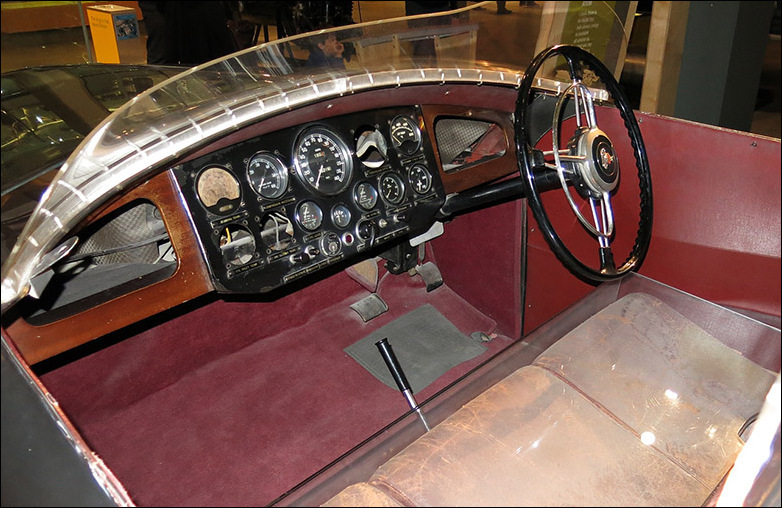 Once victory was obtained and the Second World War was finally over Rover had time and opportunity to look at the technological work they had done during the war and the decision was made to try gas turbine technology in a car. This was going to be expensive however and so Rover obtained support from British commercial vehicle maker Leyland for the venture. Leyland realized that a gas turbine engine could work well in heavy trucks and would also be a potentially good marine engine. In creating a gas turbine for automotive or marine use Rover realized that it would need two turbines, an igniter turbine that ran at very high revolutions per minute, and a drive turbine that ran much more slowly. (Picture courtesy autospeed.com). Rover began work on the gas turbine for road vehicles project the year war ended in 1945. They employed two ex Rolls Royce aviation engineers Frank Bell and Spencer King to lead the project. Early in the development it became clear that because of the 40,000rpm or higher rotational speed of a conventional jet engine, for a road vehicle the operational functions of the engine would need to be separated into two; an igniter turbine that would run up around 50,000rpm, and the power turbine that would run down around 13,000-26,000rpm. This was very much a learning experience for the engineers because no-one had ever done this before and if a gas turbine explodes, as they periodically did, the technical staff running the test needed protection from the resulting bits of high velocity shrapnel flying across the workshop. It is said that test staff had to be volunteers, and had to be unmarried. Beginning of a test run in Rover JET1. As smoke gently rises from the engine bay the two intrepid testers look just a teensy bit nervous. (Source picture courtesy autoconcept.reviews.com). By 1948 Rover had developed a viable engine called the T5 and this was further improved into the more powerful T8 which was demonstrated in powering a boat in 1949. 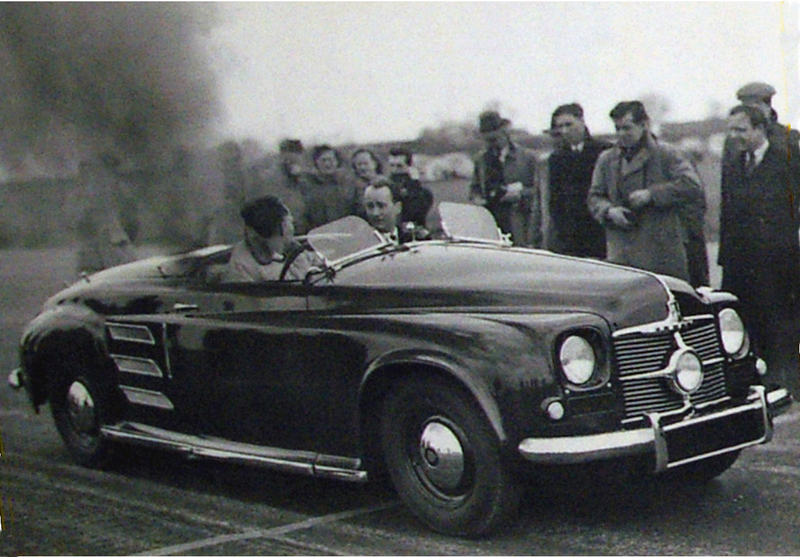 It did not take Rover engineers long to install a T8 engine into a P4 Rover 75 with the roof removed and to publicly demonstrate it on 14th March 1950. 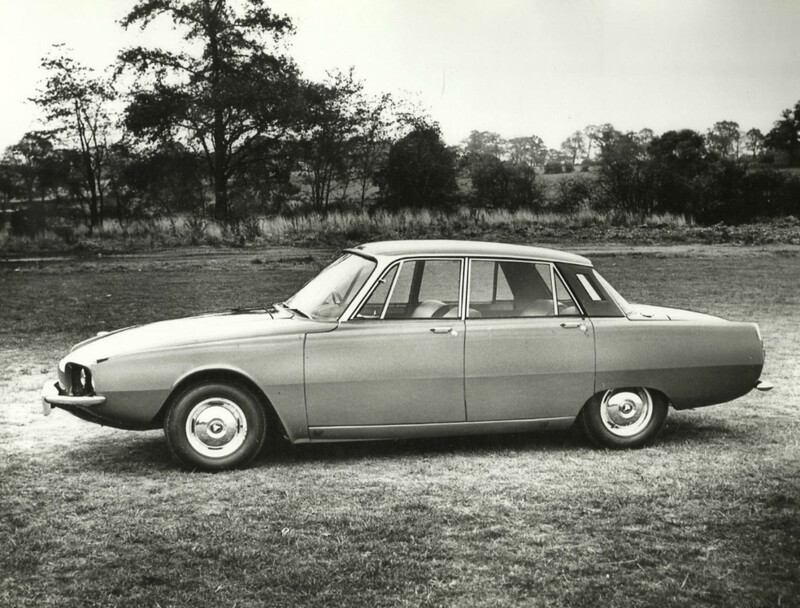 At its first demonstration the Rover JET1 produced 100bhp and was able to propel the test car at 85mph. 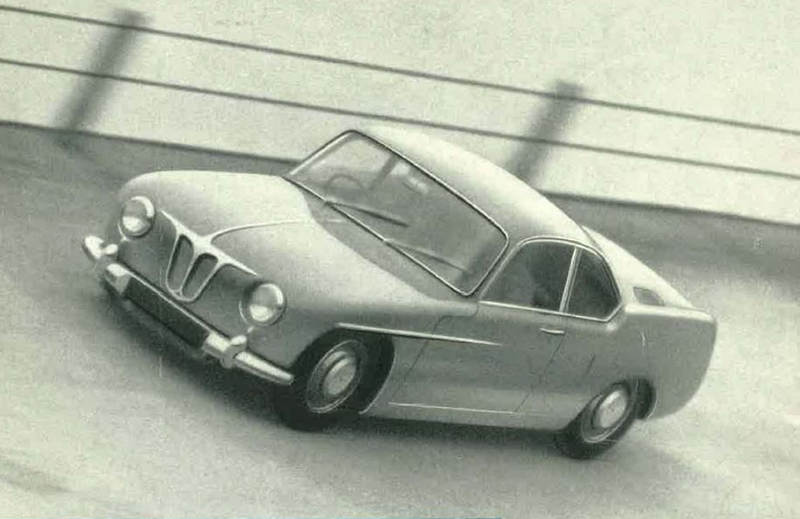 The car was demonstrated again in 1952 at the Jabbeke motorway in Belgium this time with the engine producing 230bhp which was able to drive it up to 152mph establishing a world record for a gas turbine car. The Rover JET1 test car was built as a mid engine with the gas turbine behind the driver. (Picture courtesy autospeed.com). Here is film footage of the car in the 1952 Gas Turbine World Speed Record run from British Movietone. With the success of their JET1 prototype Rover decided to go ahead and invest the time and resources to create a viable gas turbine road car. This next prototype test car was to be the Rover T3 and it featured a mid mounted gas turbine engine with all wheel drive. This was the first completely purpose designed and built prototype and it made its debut in October 1956. The Rover T3 prototype gas turbine car on test track. (source picture courtesy huskerdudebilen.no). The T3 was built with all wheel drive to best spread the power of the gas turbine to all wheels to improve the car’s handling. It was constructed with an independent front and De Dion rear suspension with coil springs and had disc brakes all around. Bodywork was of glass fiber. 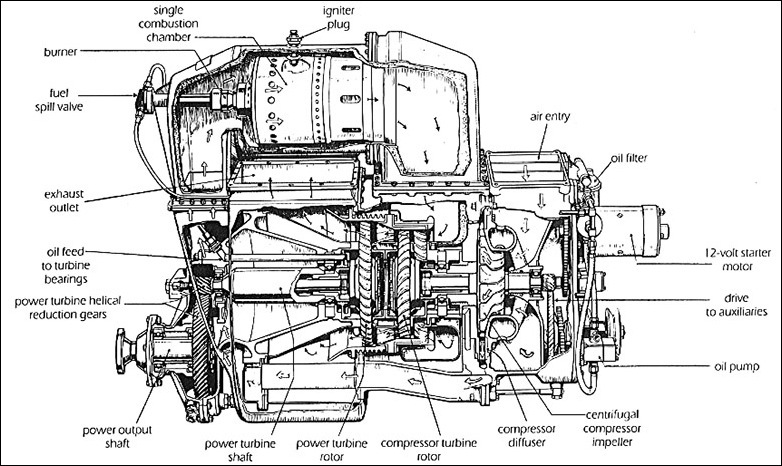 The gas turbine engine of the T3 was a modified version of Rovers’s 1Sj60 industrial gas turbine which was a two part unit with a single stage axial turbine with a centrifugal compressor running up to a maximum speed of 52,000rpm imparting gas flow to a single stage power turbine in much the same sort of arrangement used on the JET1 but refined to make it much more fuel efficient. Amongst the advantages Rover publicly stated for the gas turbine was its lighter weight for its power delivery and the fact that it did not need a cooling system, clutch or multi speed gearbox all of which further added to the weight savings. 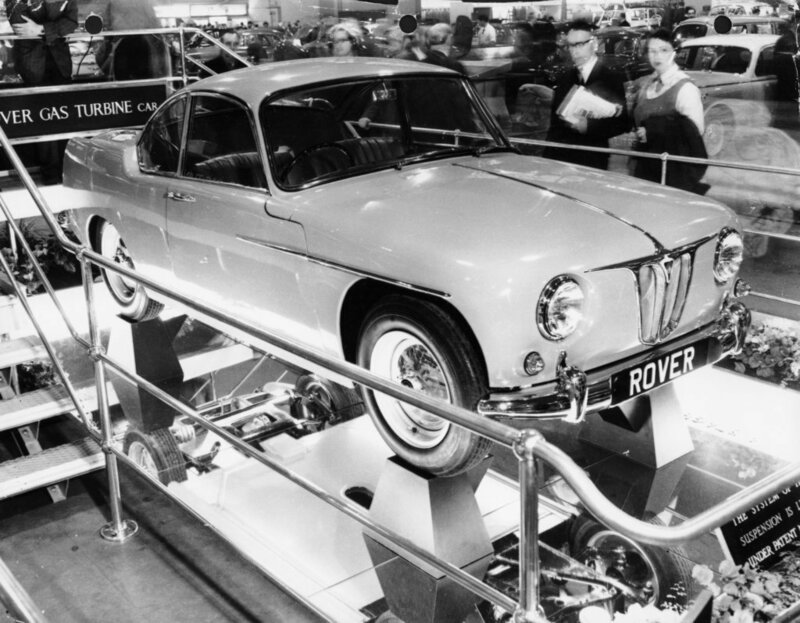 The Rover 105R T3 prototype turbine car on display at the 1956 London Motor Show at Earls Court. The T3 could do a standing to 60mph time of 10.5 seconds which is equal to the time an Austin-Healey 100 would manage. The engine was not mid mounted in the T3 but instead was rear mounted being above and behind the rear axle line; so the car was a bit like a jet powered Porsche. Rover’s final step towards building a road going gas turbine car was the T4 prototype, which was developed in tandem with the Rover 2000. Rover’s last prototype road car using gas turbine technology was the T4 which debuted in 1961 and was developed in parallel with their next production car the P6 Rover 2000. The T4 had the 2S/140 gas turbine engine mounted in the front and the car had an extended nose to accommodate it. The engine of the T4 produced 140bhp and made the car capable of a quite rapid standing to 60mph time of 8 seconds. Fuel economy of this car was also up into the realms of practicality being around 20mpg (Imperial). This was a car that would have been a highly efficient motorway and Autobahn cruiser created in an era before Britain’s motorways were restricted to a 70mph speed limit. You’ll hear mention of the car’s ability to run on various types of fuel although the commentator does not specifically mention Tequila. Rover floated the idea of putting the T4 into limited production at a price of around £3,000-£4,000, which was about double the price of a conventional gasoline engine Rover at the time. To further put that price into perspective one could buy a modest house in Britain for £4,000-£5,000 at the time. But although this was the time of the E Type Jaguar and the Concord supersonic jet airliner Rover realized that it was not going to be able to successfully market the gas turbine T4 commercially and so they gave the idea up. It would have been really something if they had got together with Sir William Lyons of Jaguar and installed a 2S/140 gas turbine engine in a Jaguar E Type. Sadly it didn’t happen, but it could still be done. Just think, a jet powered Jaguar E Type that can on Tequila! Surely there would be a market for that? Rover did not give up completely on their more than two decades of gas turbine development work. They got together with the mavens at BRM and built a gas turbine car for the 24 Hours Le Mans. (Picture courtesy autospeed.com). Having spent a couple of decades working on gas turbine technology Rover did not completely give up on gas turbine cars just yet. It was clear that the technology would not be suitable for an ordinary road car, but the technology still held promise for a racing car; and what better place to demonstrate the technology and get some excellent publicity for Rover than at the 24 Hours Le Mans motor race? Rover got together with British racing car builder BRM and together they built a Le Mans racing car on a widened BRM frame. The engine was a race modified version of the same engine used in the Rover T4 prototype which was mounted in the rear of the car. The car’s transmission provided for a reverse gear only because race regulations required it but there was no intention of actually using it. The Le Mans Rover BRM car had a nice big 48 gallon fuel tank which was filled with kerosene just as commercial jet aircraft are fueled with kerosene. 1963 Le Mans. The Rover BRM driven by Richie Ginther and Graham Hill. In the foreground is the crashed Lola of Richard Attwood and David Hobbs. (Picture courtesy Louis Galanos). For the 1963 Le Mans the Rover BRM driven by Graham Hill and Richie Ginther was entered with “00” race numbers as a non-competing invited entry. Had it been an official entrant it would have finished in seventh place overall which is a very satisfactory result for a car using new and untried technology. The 1965 Rover BRM Le Mans entry was an improved car based on the successful 1963 demonstration car. Note the engine is over and ahead of the rear axle line in mid-engine style. For 1964 the Rover BRM Le Mans car was damaged in transit to the race and did not compete but in 1965 the team was back with an improved car this time driven by Graham Hill and Jackie Stewart. 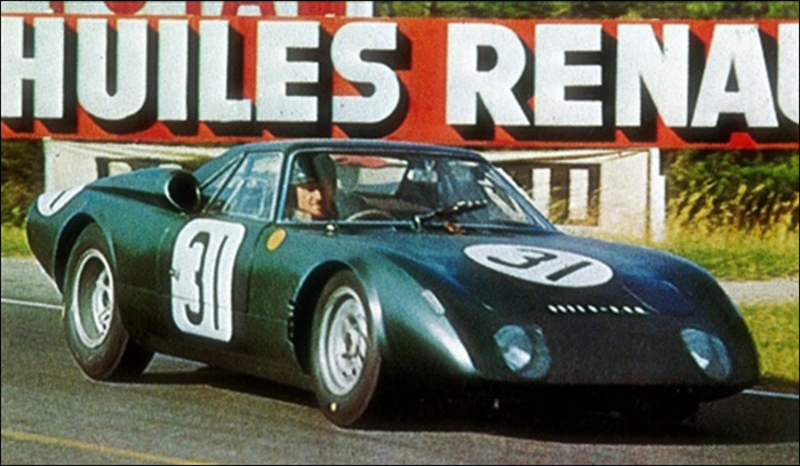 As an official entry the car wore the number 31 and it successfully completed the race finishing in tenth place against very stiff opposition from Ferrari, Porsche, a Shelby Cobra Daytona and a Bizzarini Iso Grifo A3C. 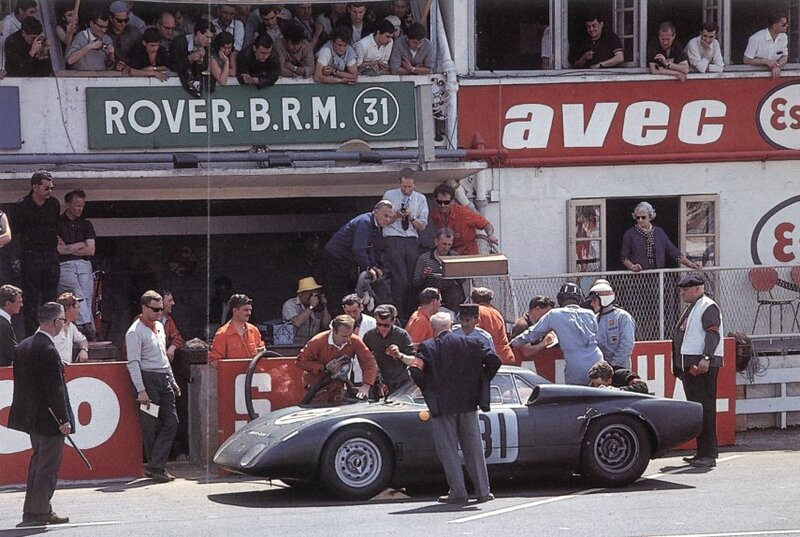 Rover BRM gas turbine car number 31 at the pits at the 1965 24 hours Le Mans. 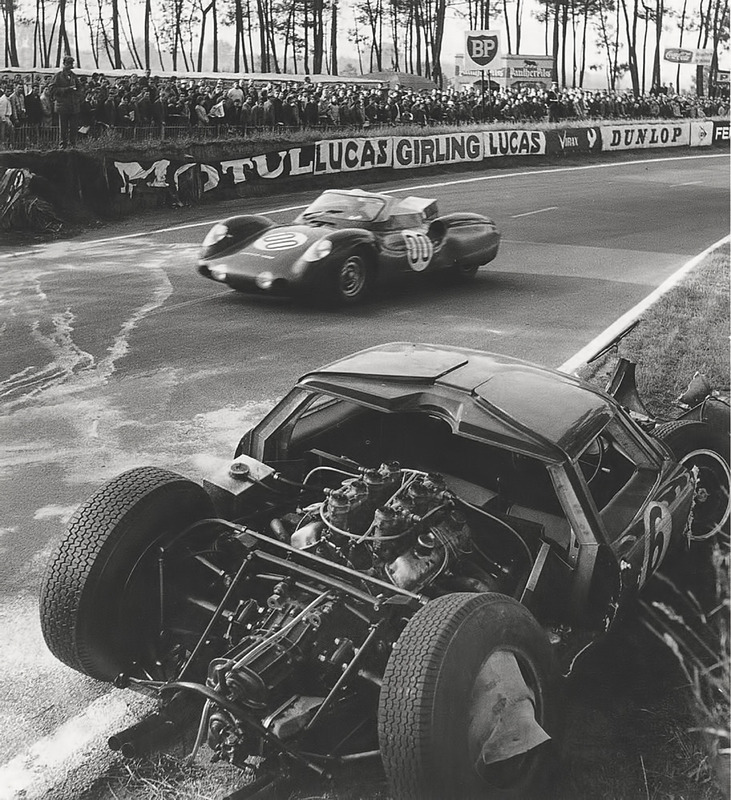 (Picture courtesy lemans-history.com). 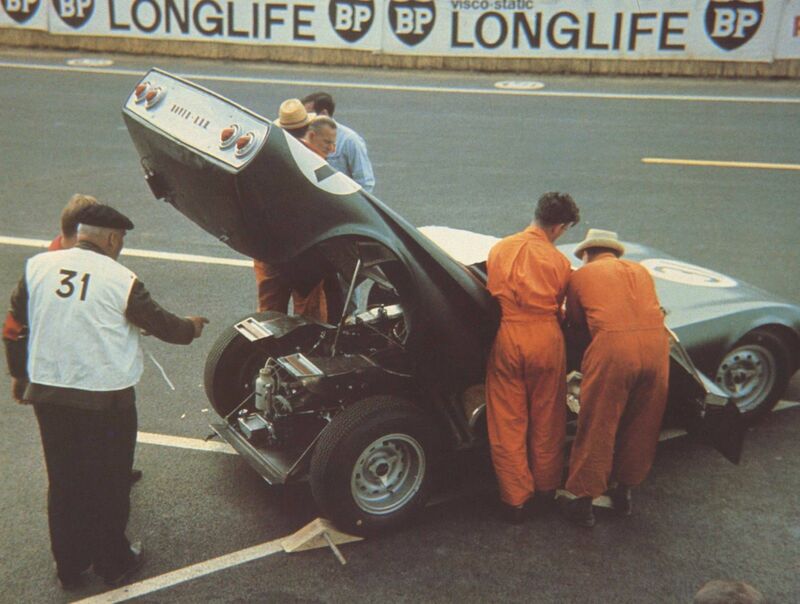 The tenth place at the 1965 Le Mans was to mark the end of Rover’s work on using a gas turbine engine in a car. They had achieved a great deal and had inspired Chrysler and GM both to try gas turbines in automobiles. They made great advances in the technology and it remains to be seen if we will see a re-emergence of gas turbines in road vehicles as other complimentary technologies become more mainstream. One possible area would be the use of hybrid gas turbine electric/battery systems but we will see what the future might bring. A gas turbine engine can be made to be very non-fussy about the fuel it will run efficiently on and perhaps if the British government does go ahead with its ban on petrol and diesel cars then all the petrolheads might just have to buy gas turbine cars and become Tequilaheads. No doubt the President of Mexico will be delighted as his country becomes the new major fuel producer for the automotive world.